It's going to be in the next race! 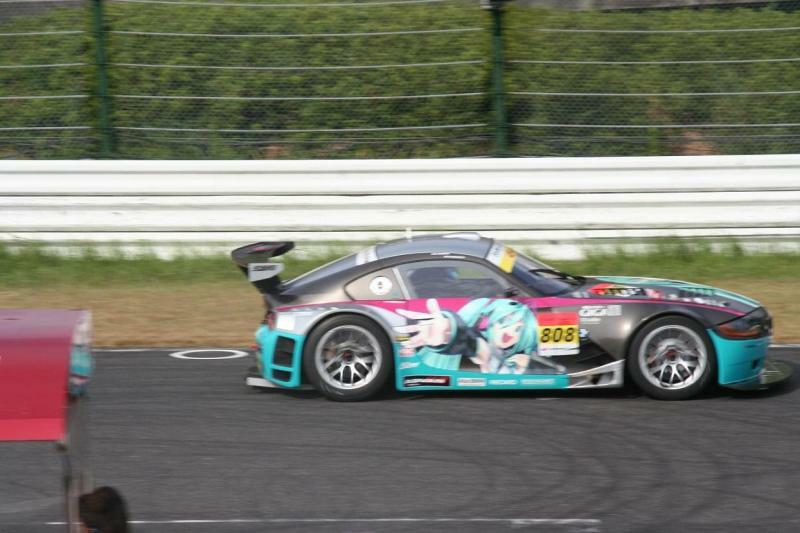 Ah, the Miku race itasha. One of the best things that have happened on Miku’s birthday last week. Read more about it here, how it can’t race, and how it stands in the starting line. Well, that was a sad news. But this car is going to re-challenge the Super GT at the 7th race of the event. Let’s hope it would pass the inspection this time… Next week, it’s going to be practicing in the circuit again, and the qualification the next day and the actual race the day after. I’ll post more updates about this matter later on. Yeah! She’ll going to race, maybe. I hope they didn’t mess anything up.